Whether it’s an oven, juicer or sous vide immersion cooker (they’re great for eggs), many appliances play a part in creating the perfect breakfast. But no appliance is more synonymous with breakfast than a toaster. If you are shopping for a toaster or toaster oven, you are going to find yourself faced with countless choices. They’ll range from simple “pop-up” models that do nothing but toast and cost under $20, to toaster ovens rife with features that may cost several hundred dollars. We take toast very seriously. 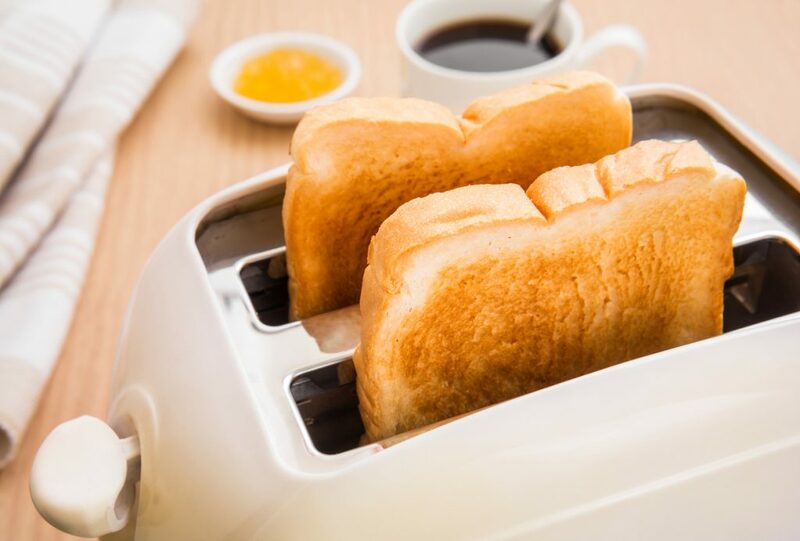 We understand that breakfast, which likely includes toast, can set the tone for the day, and we want to help you choose the toaster that helps get you to the right place. That’s our focus in our latest installment of our series on breakfast. (Did you miss the first two? We covered nontraditional takes on eggs and toast.) As with most appliances, it helps to spend some time thinking about how you’ll use the toaster. For help, we talked to experts at AHAM member KitchenAid for the lowdown on today’s toaster. They offered these suggestions on what to consider before you buy a toaster or toaster oven. Capacity: How much bread do you toast in a typical morning? Do you have a large family that tends to line up waiting for the toaster? The demand for your toaster will tell you how many slices you need your toaster to handle at once. Most toasters will offer anywhere from two to four toast slots, though you may find a few models offering six. Toaster ovens will also advertise their toast capacity based on the number of slices it can hold at once. They may also describe capacity by using other foods they’re capable of handling, like pizza or meats. Appearance: Unlike some of your other small appliances, a toaster is likely to live in full view on your countertop and become part of your decor. Make sure you choose a color and style that you like. Bagel setting: Who doesn’t love a good bagel? 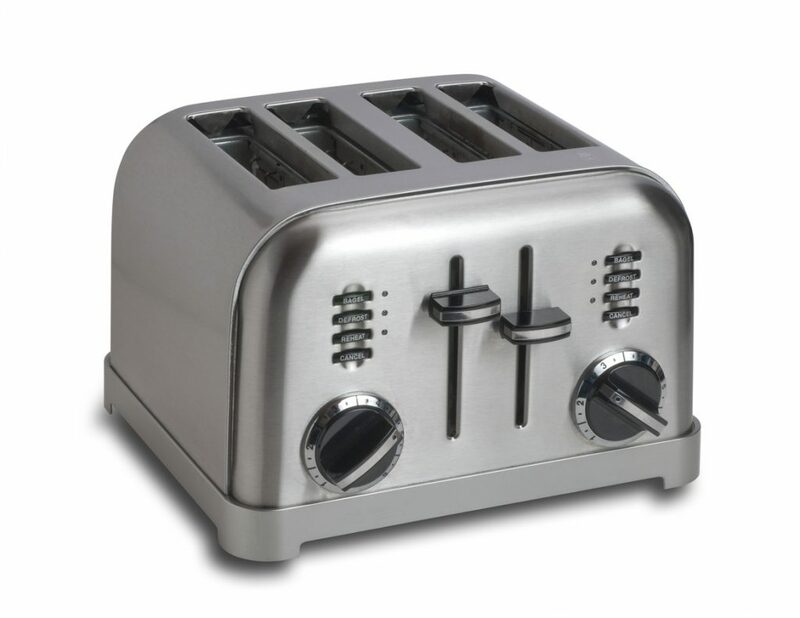 Many toasters are built to handle the popular breakfast bread, with wide slots and a bagel setting. When you set your toaster for a bagel, power to the outer elements is reduced so the heat is focused on the bread side of the bagel. Accessories: Do you need a bun warmer or sandwich rack? Some toasters come with attachments that rest a few inches above the toast slots. Lift and descent: Some toasters allow you to use the lever to lift the toast a bit higher for easy removal. Other models offer “automatic descent,” a sensor-enabled feature that brings the bread into the toaster after you place it in the slot. Cooking functions: Toaster ovens offer cooking functions beyond toasting, but the number of functions will likely vary by model. Typical functions you might come across are bake, toast, broil, warm, reheat. Choose your settings carefully if you’re partial to cooking or reheating meals in a toaster oven. How do you like your toast? Take our one-question personality quiz.